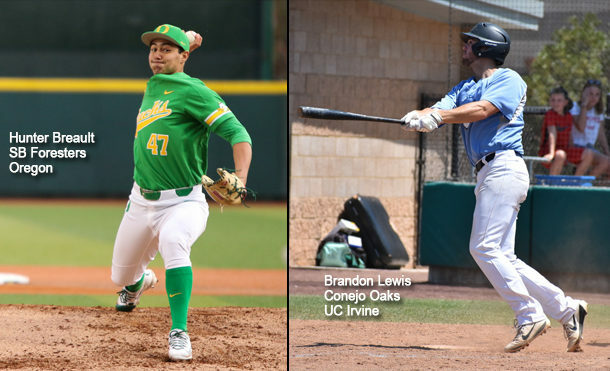 The CCL announced its 2018 All-League Team today and Brandon Lewis (UC Irvine) the third baseman for the league champion Conejo Oaks was named the league’s Most Valuable Player, and Hunter Breault (Oregon), the right-handed pitcher for the Santa Barbara Foresters, was named the Most Valuable Pitcher. Lewis posted a remarkable “triple-crown” season, leading the league in batting average (.397), home runs (8) and RBI (25) as well as leading the CCL in hits (48), doubles (19) and runs scored (34). Breault finished league play without allowing an earned run, striking out 21 batters in 21 innings while posting a 3-0 record, and also featured the best fastball velocity in the league, consistently pitching at 91-92 mph while touching 94-95 mph. 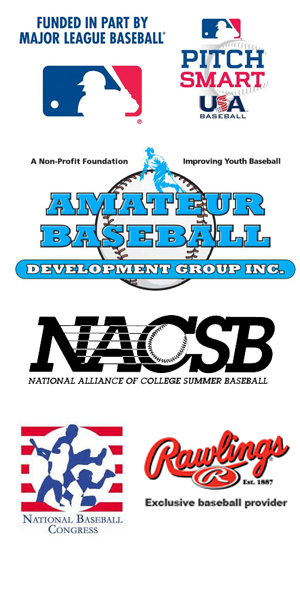 A full listing of the 2018 All-CCL team, which was selected by the eight managers of the league, can be viewed here.